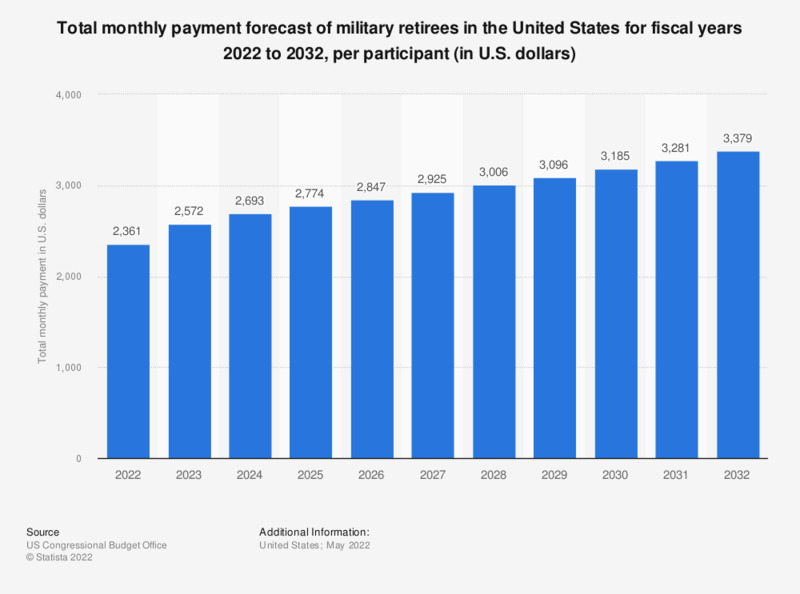 This statistic shows the total payment forecast of military retirees in the U.S. from 2018 to 2028. The total payment forecast of military retirees in the U.S. in 2028 is about 73.89 billion U.S. Dollars.